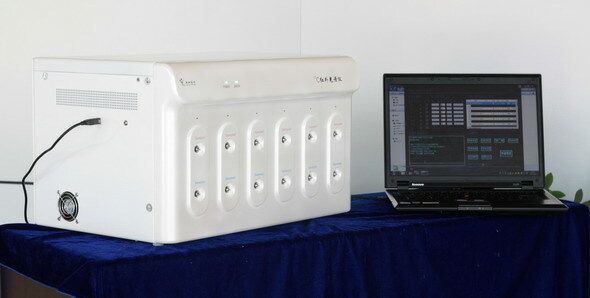 5) operation control mode: software control, through the software on the user's computer and the special man-machine interface. 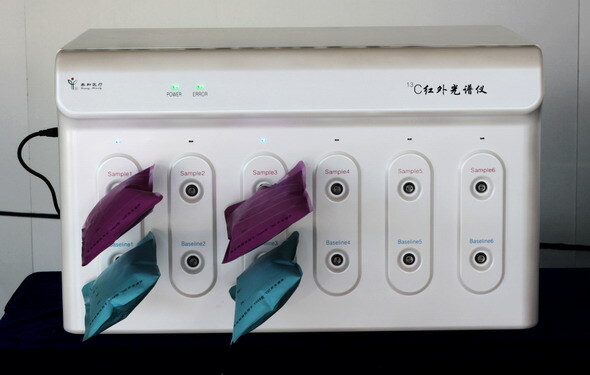 6) the way of information output: the special human-machine interface on the user's computer, and the user printer. 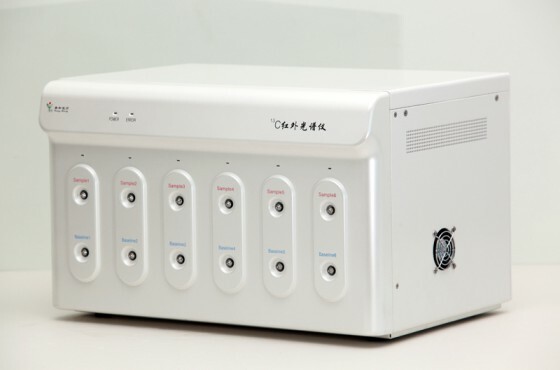 E. sample measurement time: the time to measure a patient's sample (including the bottom gas sample and sample gas sample each bag) is about 3 minutes, and the CO2 concentration in the sample is different, which will make the measurement time different. 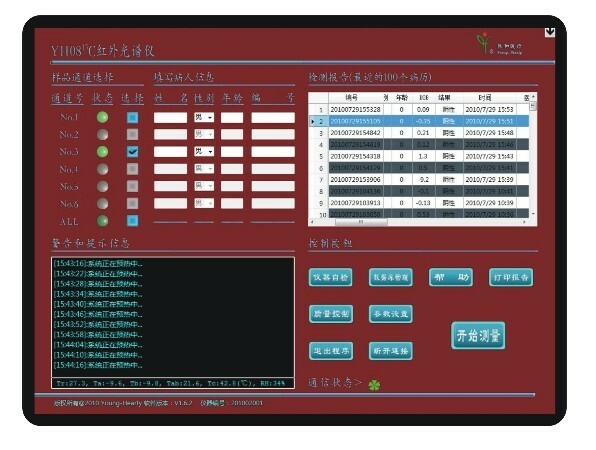 F. preheating time: about 30 minutes, the preheating time may be shortened and extended automatically due to the influence of ambient temperature. 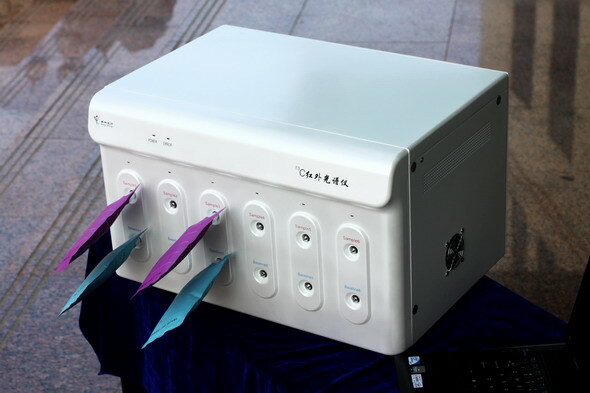 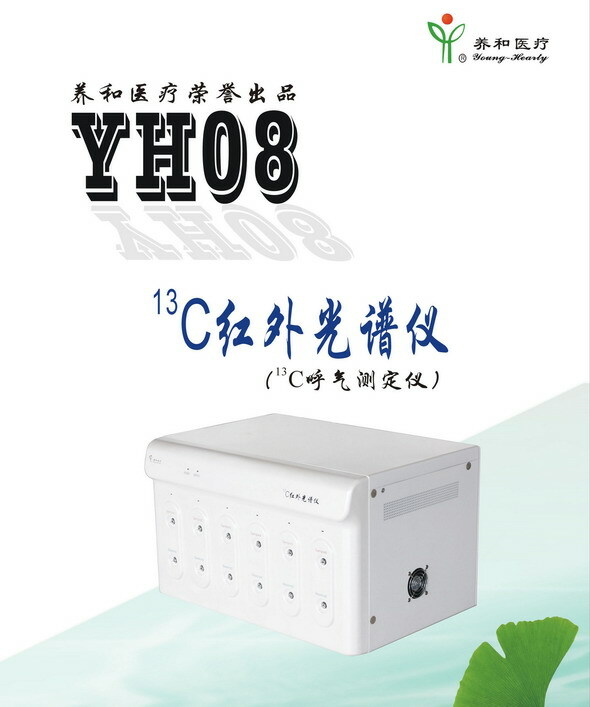 The YH08 13C infrared spectrometer is suitable for clinical medical diagnosis. The variation of 13C abundance in the 13C urea breath test sample is more than that of the bottom gas 13C abundance, DOB (%) is used to determine whether the subjects are infected with Helicobacter pylori (Hp).